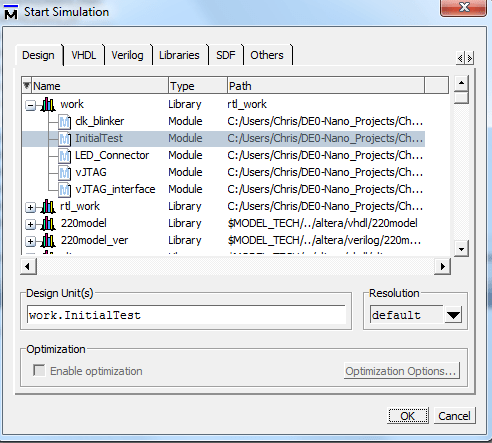 Here I’m going to demonstrate how to use ModelSim to test out the Virtual JTAG design that I showed in my previous post. 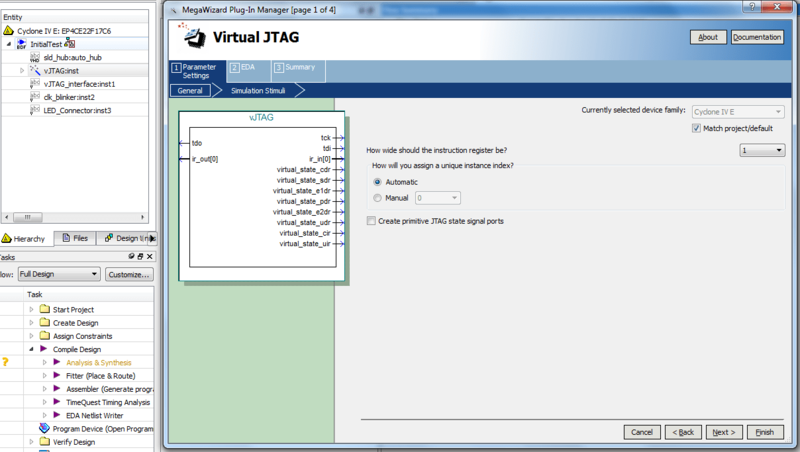 The first step is to open the Virtual JTAG project we created in the previous post. 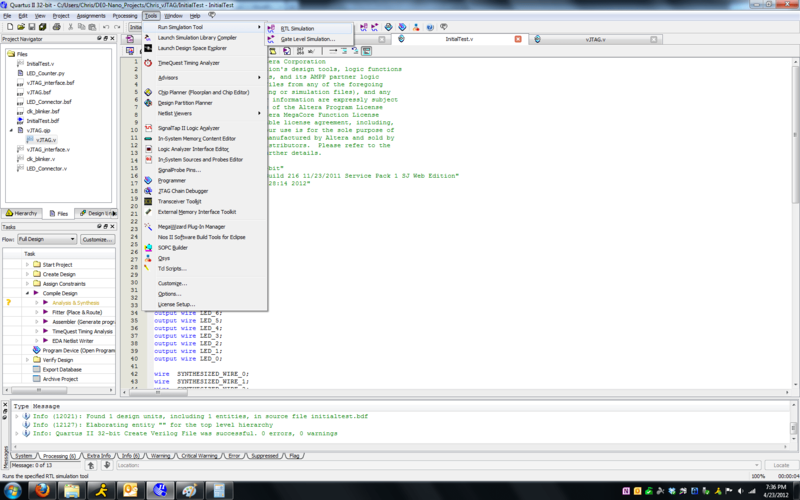 The next step is to setup the stimulus for the Virtual JTAG block which is done by using the vJTAG’s megafunction wizard. Now keep clicking Next> until you get to the General > Stimulation Stimuli tab. 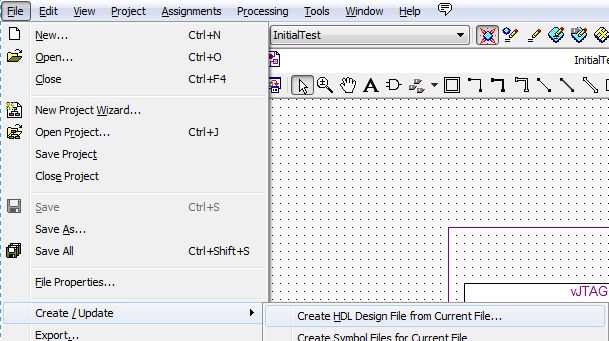 Unfortunately, ModelSim doesn’t allow the top-level to be a schematic file (.bdf), however Quartus has provided us with a handy tool that quickly generates a Verilog file from a schematic. If you get the error: Can’t compile duplicate declarations of entity “InitialTest” into library “work”. 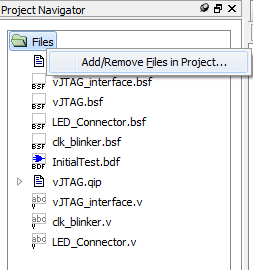 Make sure to remove the InitialTest.bdf schematic from the project. 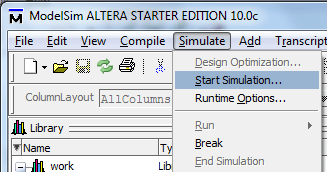 If you get an error at this point, double check to be sure your design is configured to use ModelSim-Altera Version (Setting it to the vanilla version of ModelSim won’t work), also ensure that in the Tools > Options the path to the ModelSim-Altera is set correctly. 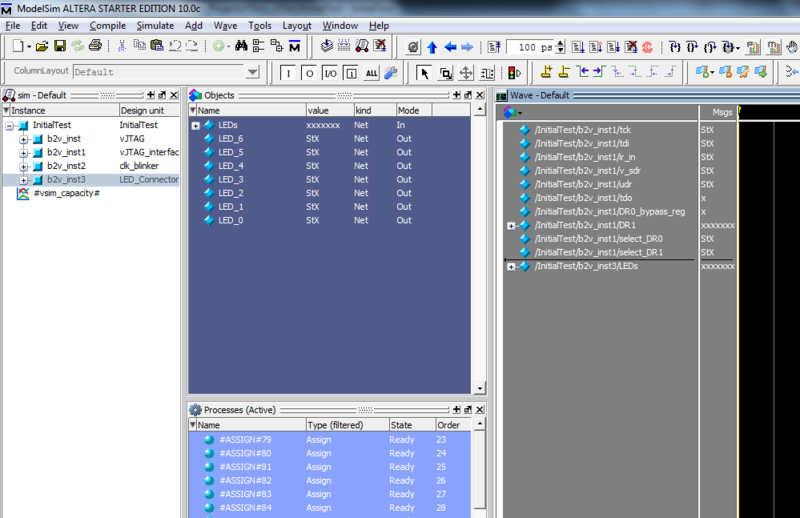 In order to support the vJTAG megafunction block, you’ll need to add the megafunction library to the sim. 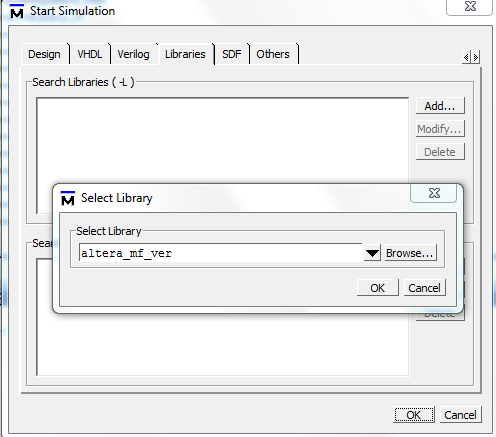 Add the altera_mf_ver library using the Libraries tab. 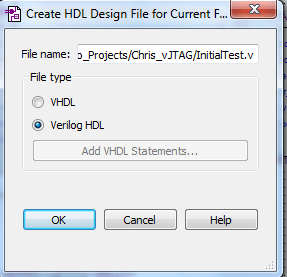 The _ver suffix selects the verilog version of the library. 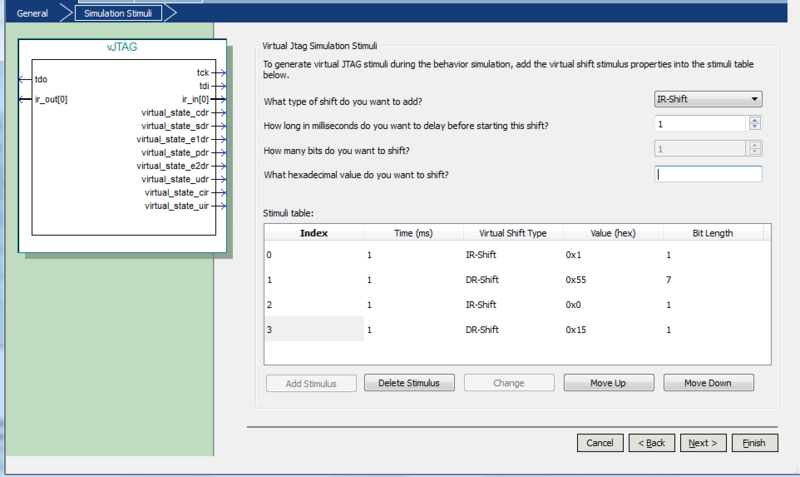 If you omit this ModelSim will try to use the VHDL version and fail. You should see something like the following picture. Looking closely you will see four pulses on the tck signal, corresponding to the stimulus we setup earlier. Now zooming in on the second stimulus event, we find the Data Register (DR) shift. We find the tdi signal is captured on the DR1[6:0] register, and once the update data register (udr) signal asserts, the LEDs are updated. Hopefully that was informative. Feel free to leave a comment if you have any questions, or just to let me know if this was helpful to you. your page higher rank & authority in google. 1. What’s VJTAG.v block? I’ve programed VJTAG interface, but I don’t know what this block contain. 2. What about TAP controller? Where’s this part in the code? 3. Might you upload VJTAG file?